Some of the many adoptions we arrange! 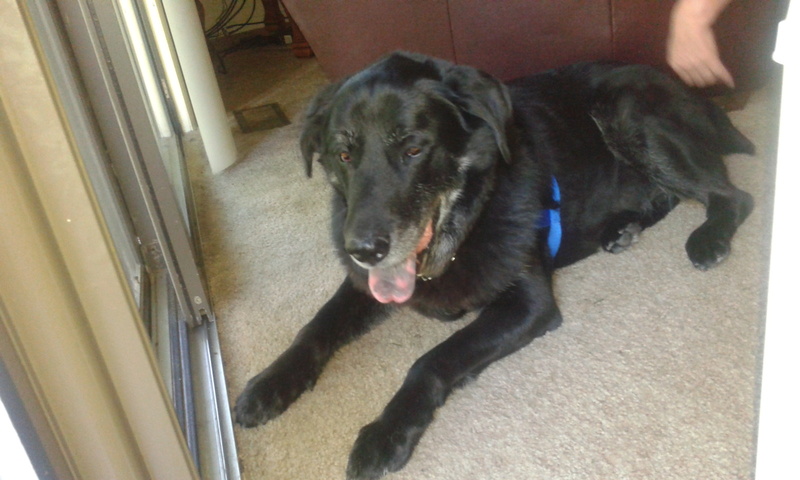 June 11, 2015: Jackson in his new home! 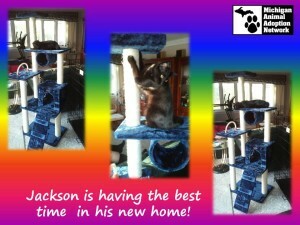 Here are some pictures of Jackson enjoying his new “kitty condo”. The one where he’s on the “top floor” or “penthouse” and looking to the right of the picture is when he was eyeing the dog (Pago) assessing how comfortable he could get up there. The one where he’s looking straight ahead (to the left of the picture) he’s eyeing the birds coming and going by the deck. I added the one where he’s scratching a post so you could see he’s taking advantage of the sisal rope on it. Needless to say, he’s fitting right in! He’s so doggone curious he’s been getting into everything! Much to our surprise, one thing he loves to do is sit in our tub and play with any drops that drip out. And he not only tries to open doors himself, as you mentioned before, but he also likes to “help” us while we’re opening doors. He’ll put his front paws on the door and lean while we’re opening it. Something else, huh?! Also, it’s been so long since we’ve had a cat, the kids have forgotten what it’s like. Every day, after he does a normal cat thing like start racing around the house for no apparent reason, the kids will look at me and ask why he’s doing that. It’s been a great bonding moment for us. Hope you’re doing well! 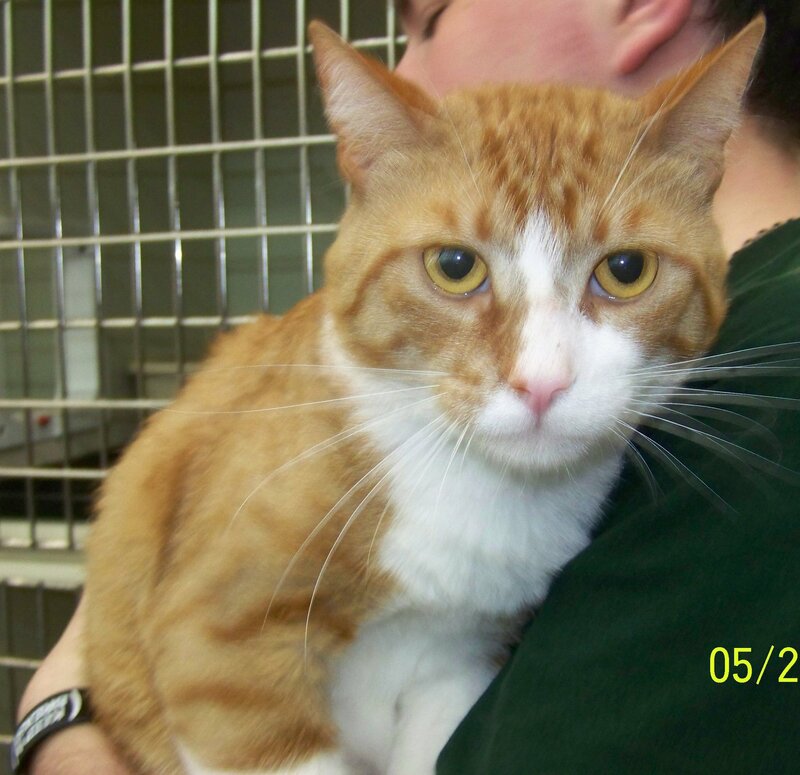 April 8, 2015: Barnabas was adopted! Hi, sorry I couldn’t send the photos of Barney earlier, I had trouble getting them from my phone to the computer. Barney is doing great! He has such a funny personality, both rambunctious and very cuddly. He loves hanging around the bathtub and playing with the water coming from the faucet. He also likes to play with shoes. He started to venture out into the rest of the house, some times I find cobwebs stuck all over his little black face. He acts as if I can’t tell what he’s been up to! 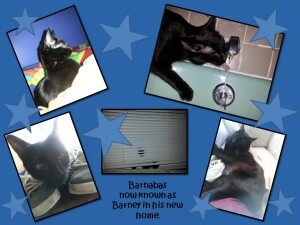 Congratulations to Barnabas, now known as Barney, and his new family! 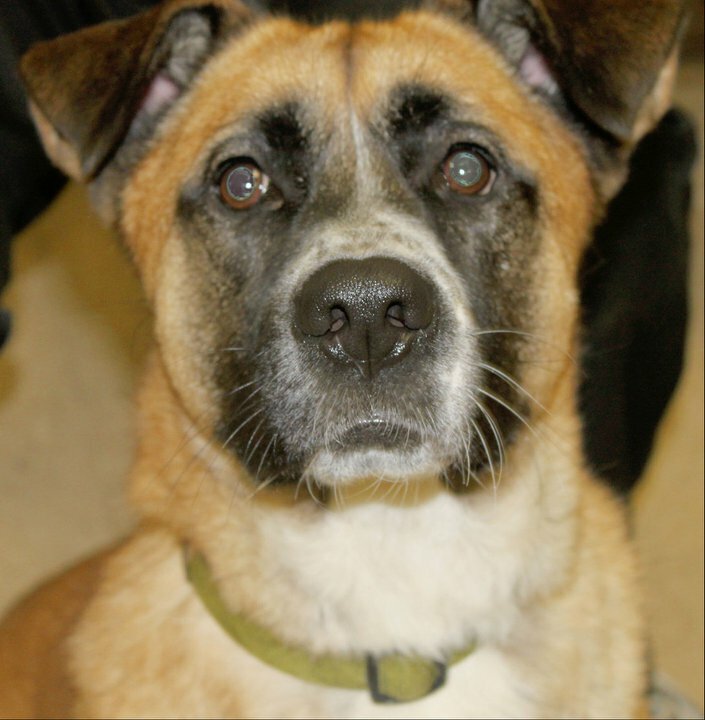 October 3, 2014: Frankie was adopted! Frankie was adopted a couple days ago by Andy and Melissa. He is settling in very well, even sleeping next to his brother (cat) Kingsley! 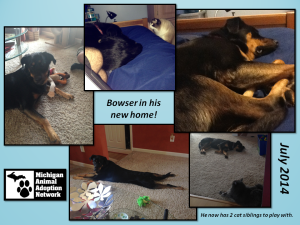 July 3, 2014: Bowser was adopted! He is doing great in his home! Casino – enjoying playing in the snow! The boys are doing great in their new home. 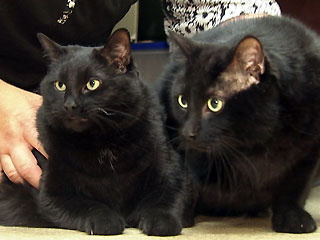 They had the fortunate luck of being adopted together and will be able to spend the rest of their lives with each other! He is doing great in his new home. 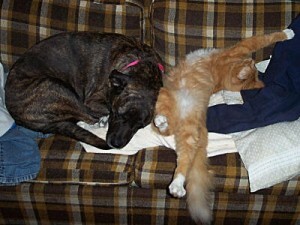 He has adjusted well and is friends with his new feline friend! We are so proud of our Rigby!!!! We had obtained him from the Michigan Humane Society as a transfer. He was lacking “proper” training and he had some skin issues. With the help of one of our wonderful foster parents, Lisa Bewick, Rigby improved and became a little gentleman. It took awhile but the perfect home was found for him. Now, he’s living the good life with two of the world’s finest female bowlers, Aleta Sill and Michelle Mullen, who taught him the tricks of their trade. Watch Rigby in action! 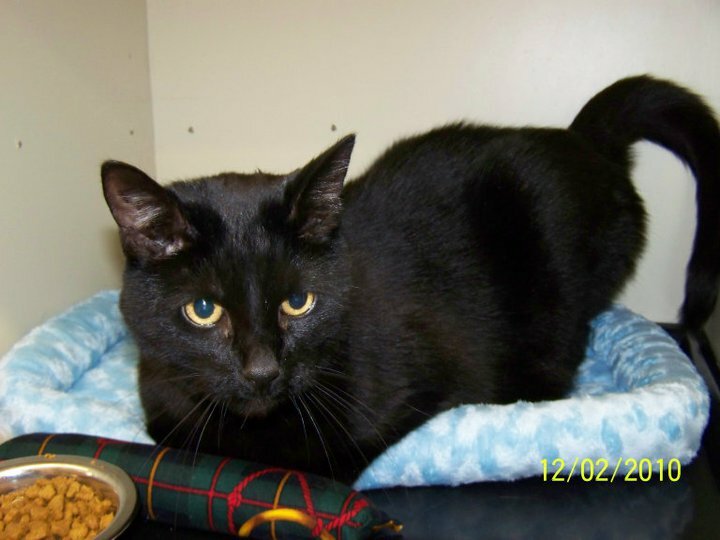 January 23, 2013: Cat – The cute 1 year old, black kitty with a heart murmur. He has it made for the rest of his life! 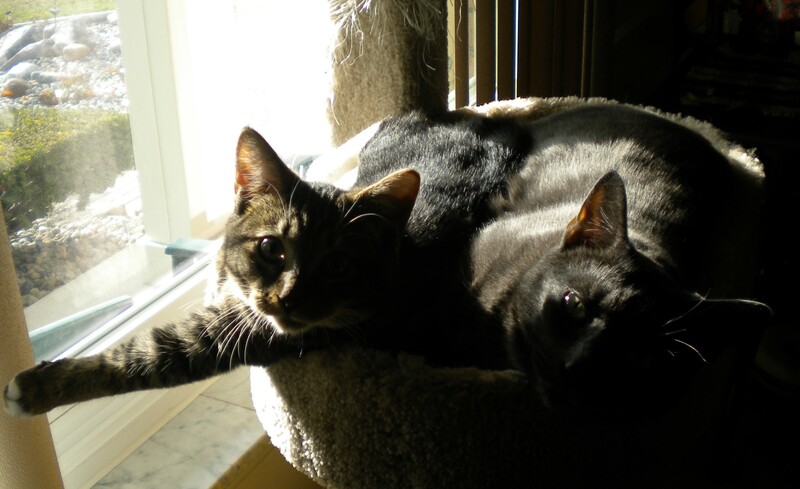 October 14, 2012: Sidney and Bandit found a home! Lula was a cute little puppy who needed a great home and luckily she found it! Her new parents recently sent us a lovely, first birthday picture of her, along with a little note. 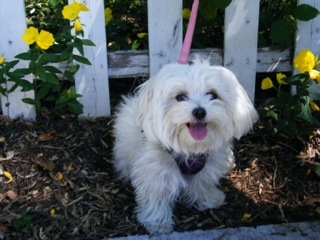 Attached is a photo Lula, our little lovely pup. She was just spayed but is recovering nicely. We’re thinking about enrolling her in agility training; she’s such a little tuffy. Thanks for bringing her into our lives. This cute boy was adopted July 25, 2012. 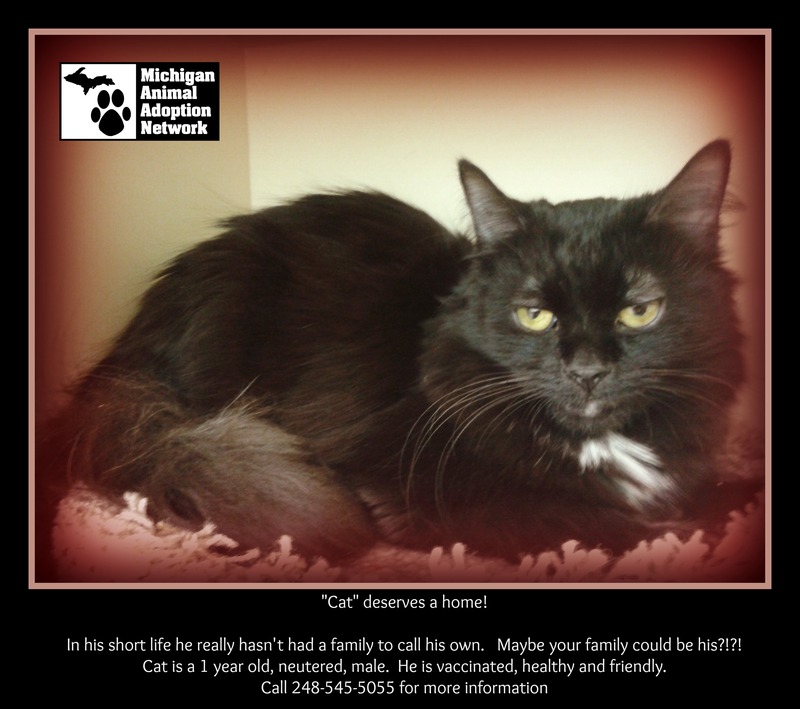 We don’t know his past (he was a stray in Warren, MI) but we sure do know his future! Congratulations Chester and family!!!! 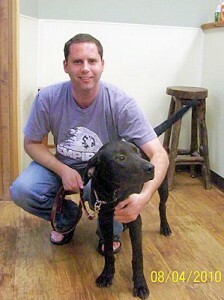 June 13, 2012: After two long years of looking, waiting and hoping, Roscoe has been adopted! April 12, 2012: Baby has finally found his forever home!!!!!!! “Sorry I haven’t updated in so long…Annie is doing very well and is slowly becoming friends with her new step-brothers. Such a wonderful cat, so happy in her new home. Every time I shop at Pet Supplies Plus and linger over the cats for adoption, I inevitably meet someone who remembers her! They always ask after her and wish her well. Thank you again for allowing her into my family! I’ve attached a ‘family photo’… The three of them aren’t exactly cuddle-buddies yet, but they do get close. A lot of mutual playtime followed by treats and catnip really helps. 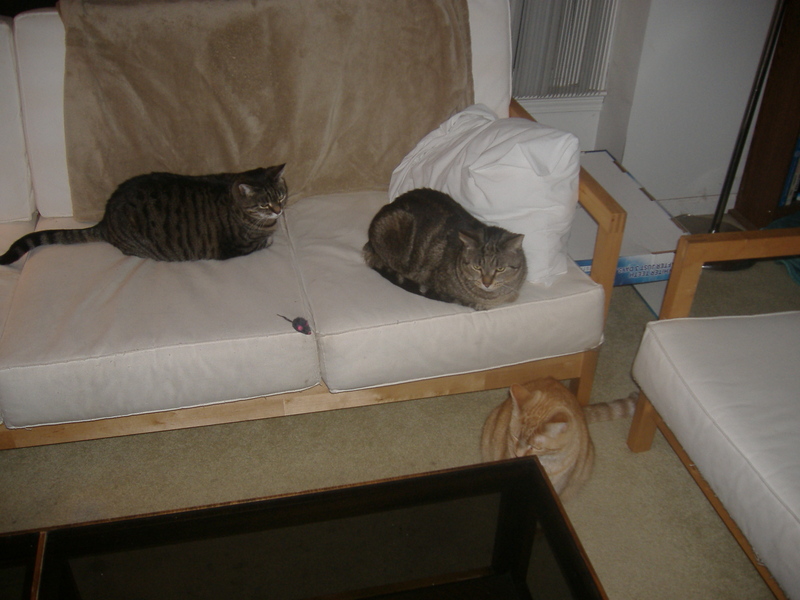 Left to right, it’s Annie, McLaren and Julius. 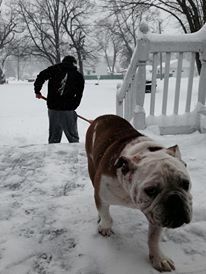 Poor Emmie! 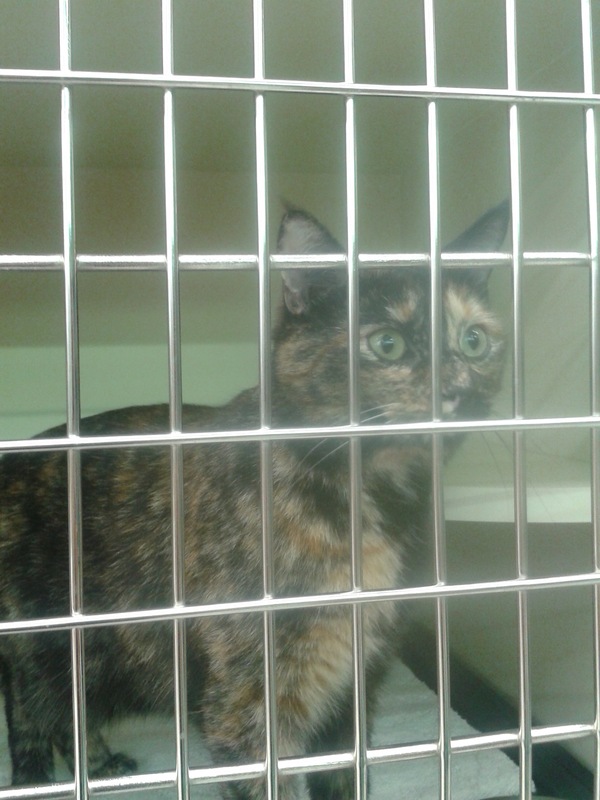 She was brought to our attention by a local veterinary hospital. This helpless creature was dropped off there after the hospital refused to euthanize her because her owners didn’t want her anymore. They had gotten a new kitten and Emmie developed diarrhea from the stress. Luckily, the hospital was able to have the owner relinquish ownership of her to them. 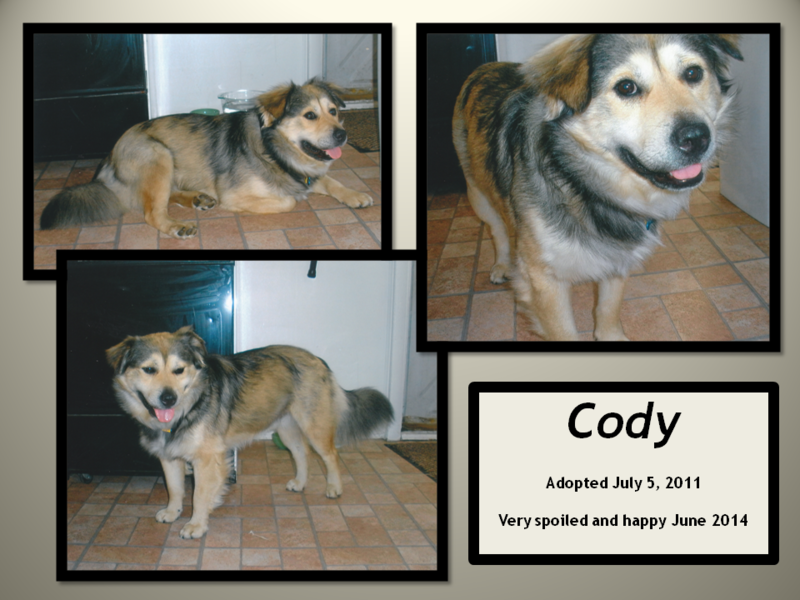 We had an open spot in our adoption program and brought her in on January 17, 2012. 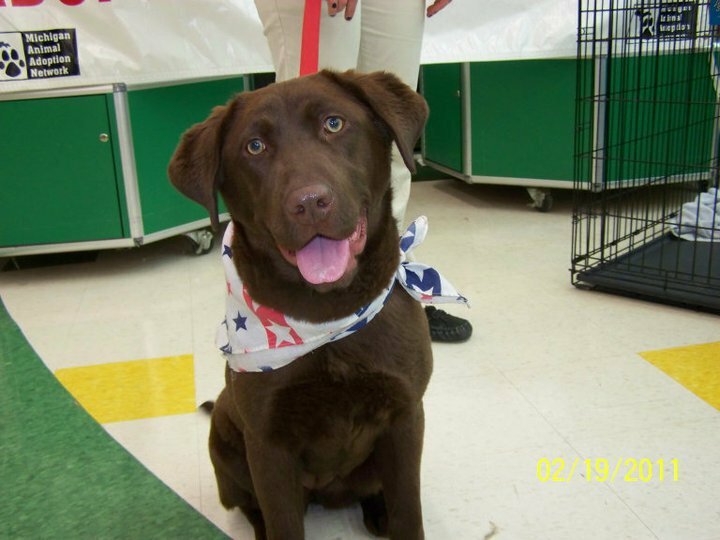 Well, not even one day later, a wonderful woman saw Emmie at the Pet Supplies “Plus” store in St. Clair Shores (where she was being fostered) and fell in love with her. 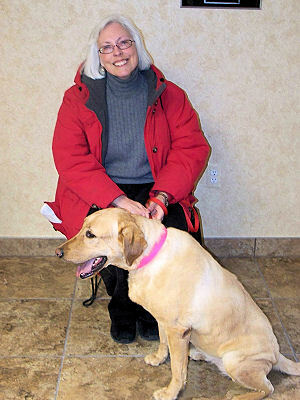 One week later on January 24th, Emmie went home with her new mom and started a brand new life! She is now loved, pampered and cared for. She no longer has to worry about being euthanized just because she isn’t wanted. 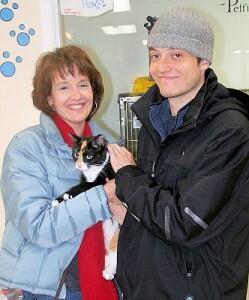 Congratulations to Emmie and her new family! After months of waiting, Chase has found the perfect home for him. He is going to be the king of the castle, the only furry animal in the household. His new mom fell in love with him at one of our Pet Supplies Plus adoption events and she knew he needed to move in with her. Chase is adjusting well, but who wouldn’t when you have a caring person who loves you very much?! Congratulations Chase and Lorie!!! We wish you many years of happiness! The holidays are going to be much brighter for Clark. He was adopted yesterday after two months of waiting for his perfect family to come along. Clark will now be part of a family that includes two other feline friends. We wish Clark and his new parents a Happy New Year and many, many, blissful new years to come! Waffles, our gray kitty that has been up for adoption for a few months, was adopted yesterday, November 22, 2011. We are so thrilled for Waffles and his new family. 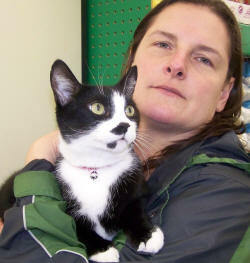 While attending our adoption event this past Saturday at Pet Supplies Plus, Waffle’s new mom saw him and fell in love. What a great Thanksgiving for Waffles! We wish Waffles and his new family many years of happiness! 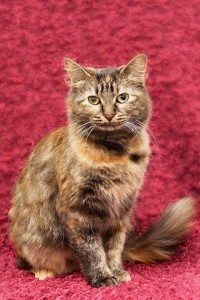 Nutmeg was adopted last week and is doing well according to her new parents. She joins a family of rescued animals; her new canine siblings were rescued last year. We wish Nutmeg a long and healthy life! 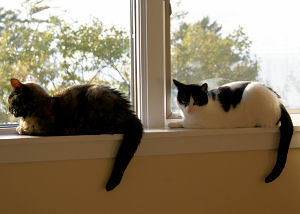 KC and Mandy were adopted on Friday and the best part is – they went to the same home. After the girls were brought back to the Michigan Animal Adoption Network a few weeks ago because their loving owner had a medical emergency, we put out the word that these two sisters needed a home. We were hoping that they would be adopted together but we knew what the odds of that happening were and we didn’t expect it to happen. Apparently fate had other plans and brought the girls’ new family into the Pet Supplies Plus Store in Clinton Township. They had just lost their elderly cat a week ago due to illness and wanted to bring a new furry feline into their family. Of course when they saw K.C and Mandy they couldn’t adopt one and leave the other, so they adopted both of them. We are very happy that the girls get to stay together and wish them years of happiness! Congratulations to Roxie and her new family. Roxie was adopted out on June 10, 2011 and joins Shanahan, a handsome feline who was adopted from us 2 years ago. Her new mom reports that Roxie is already the queen of the castle and acts like she has always lived with them. 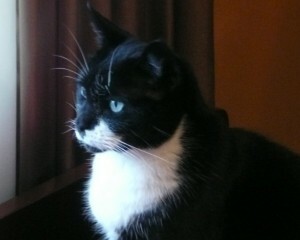 Sylvester is a very friendly, black & white cat that needed a home. He loves to be held, cuddled and brushed. Unfortunately due to allergies, his owner had to give him up. 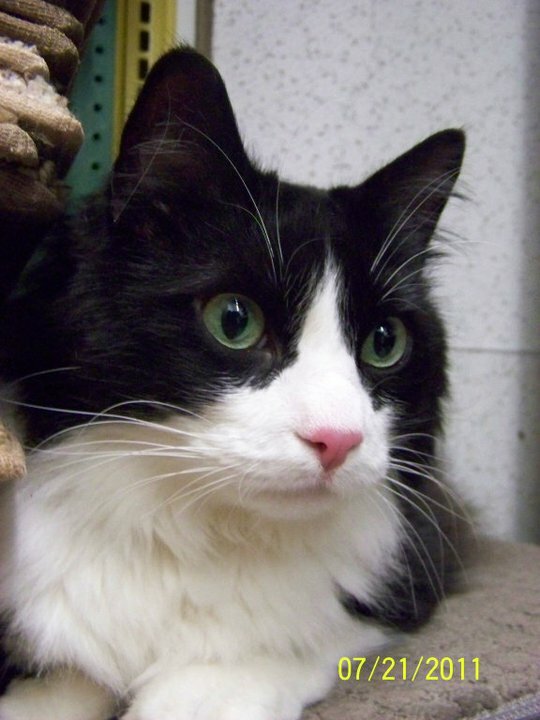 Sylvester is 7 1/2 years old, front declawed, neutered, vaccinated and healthy. The poor boy didn’t know what’s going on and he just wanted to feel secure. Sylvester went to his new home on August 4, 2011. This handsome, black/white fur ball joins a feline sibling and an adoring mom. He is going to be pampered and loved for the rest of his life. Congratulations to Sylvester and his new family. 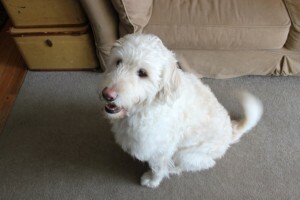 Joey was adopted on June 10, 2011 and now has a canine brother to play with. 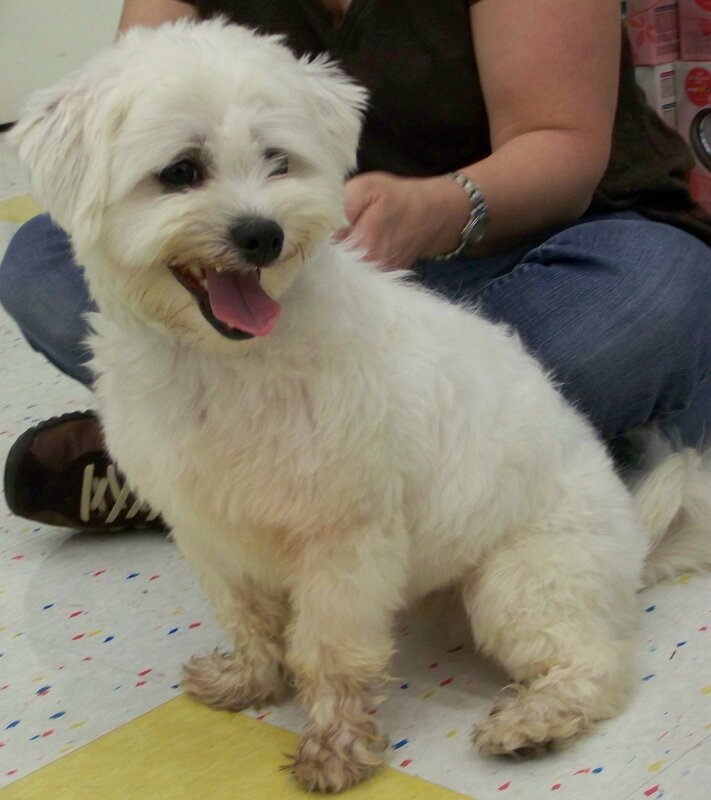 Joey and Falcor, a cute, 10 month old, Poodle mix, hit it off perfectly. They were playing and “speaking” to each other within 10 minutes of meeting. We wish Joey, Falcor, and Mom many years of happiness and joy. June 9, 2011 was the day that Hagrid started his new life! He was adopted and joined a feline brother named Bob. Bob was adopted from us a couple of months ago. 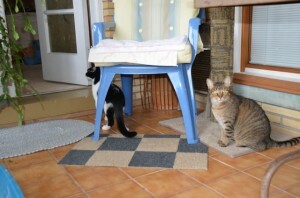 The boys’ dad reports that both are doing well and are a joy to be around. 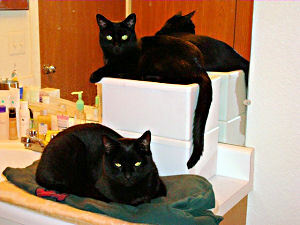 We wish Hagrid, Bob, and their new dad many years of fun, purrs and happiness. 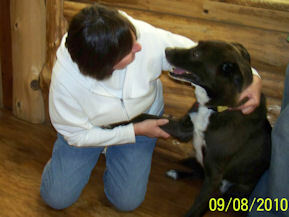 Ms. Missy was adopted by a special person that is going to give her lots and lots of attention. She deserved a great home and she now has found it. Congratulations Missy! We wish you many more years of happiness. Our beautiful Elsa was adopted yesterday!!! She will now be living with two older felines (17 & 18 years old), her 13 yr. old canine brother Jake, and her 2 new human parents. Not bad for a dog that was found running the streets of Detroit! Elsa felt very much at home, she went right to the food dish and started eating. It was hard to get Elsa and Jake to stand still at the same time for a family portrait, so we had to settle for the “action” shots. Because of her new parents, Elsa now has a warm bed, lots of food and friends to play with. Congratulations Elsa!!!! Congratulations to Sheba! She has been adopted and is now living the life of a pampered pooch. She will be going on long walks through the woods, visiting with dog neighbors, socializing with human neighbors and just enjoying life to the fullest. Sheba also now has an older lab brother to play with. From being tied to a tree and neglected to being pampered and loved, Sheba now has a long life ahead of her. 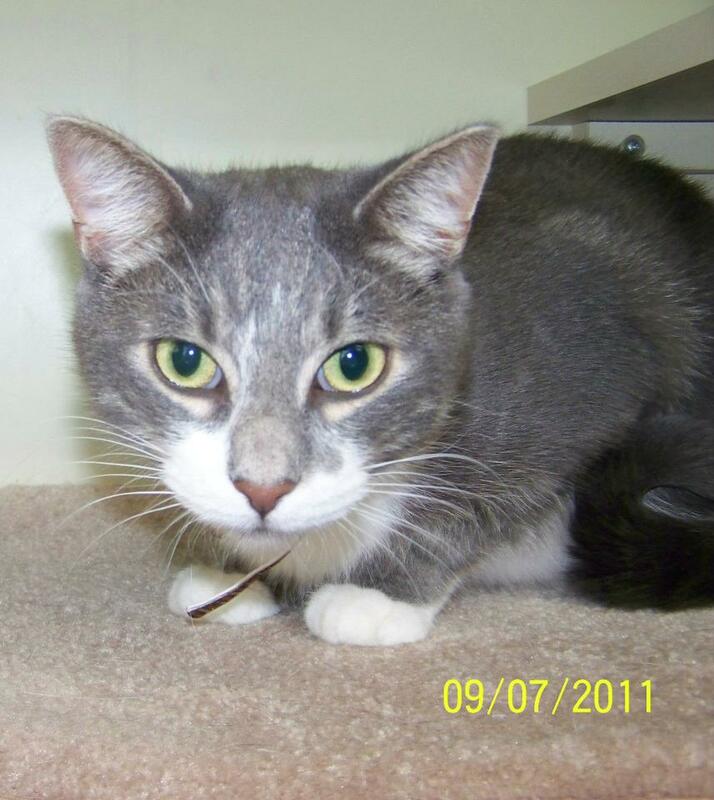 Kelly, the cutest, fuzziest gray cat you have ever seen, was adopted today! 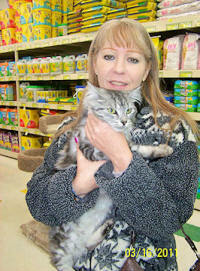 Her new mom saw her at Pet Supplies Plus in St. Clair Shores and fell in love with her instantly. 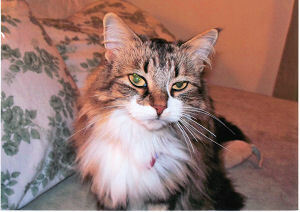 Kelly joins an older cat sibling who will benefit from Kelly’s active ways. Kelly will get to celebrate her first birthday, March 31, with her new family. We wish Kelly many, many, more years of happiness! 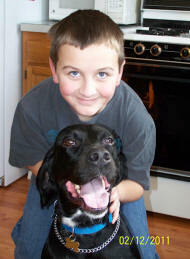 Lucky arrived at his new home on February 11, 2011 just in time for Valentine’s Day. 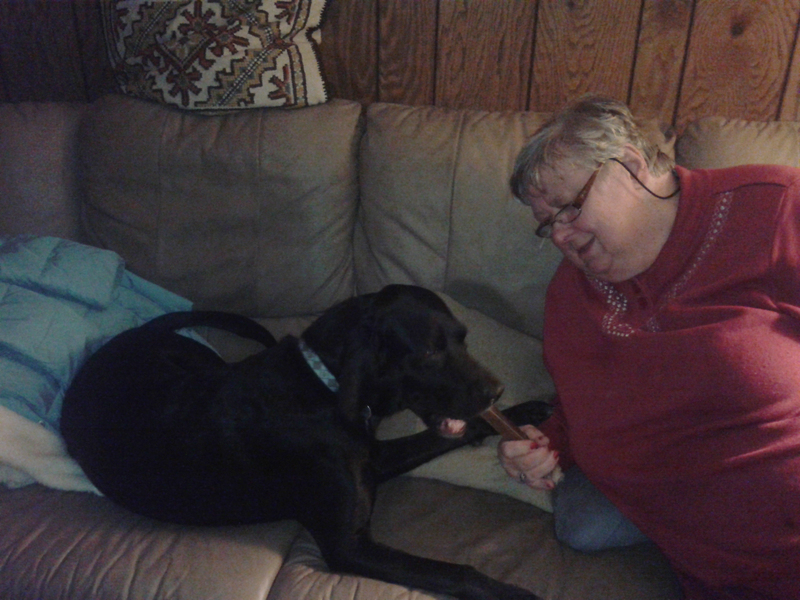 Jean, his new mom, reports that he has adjusted well and has investigated every part of his new home. He is especially entertained by his own reflection in the full length mirror! We wish Jean and Lucky years of happiness! 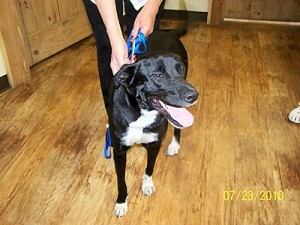 Chase found his new home on February 13, 2011. He is the perfect Valentine companion for his new brother. 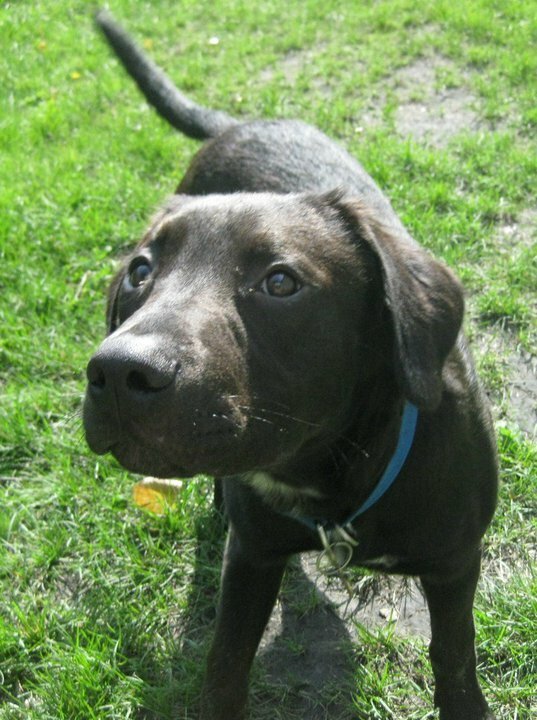 From being abandoned at Macomb County Animal Control to living in a wonderful, caring household; Chase has come along way. We foresee many years of running, playing and having fun for Chase. Congratulations to Chase and his new family! 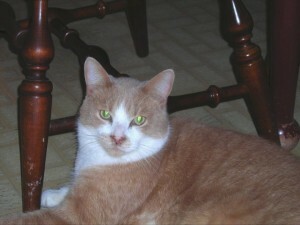 Pumpkin was found as a stray and fostered by a kind lady until we had a space in our adoption program. He is a very sweet cat and loves everybody. 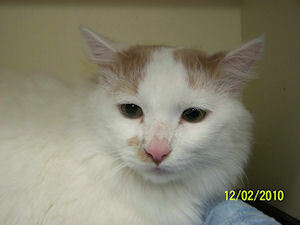 Pumpkin was adopted on February 12, 2011; just in time for Valentine’s Day. We wish Pumpkin and his new parents a lifetime of happiness. When Carrot Top was rescued, he was nothing but skin and bones, extremely weak from starvation and dehydration and covered in urine and feces. It did not look good for this little guy. 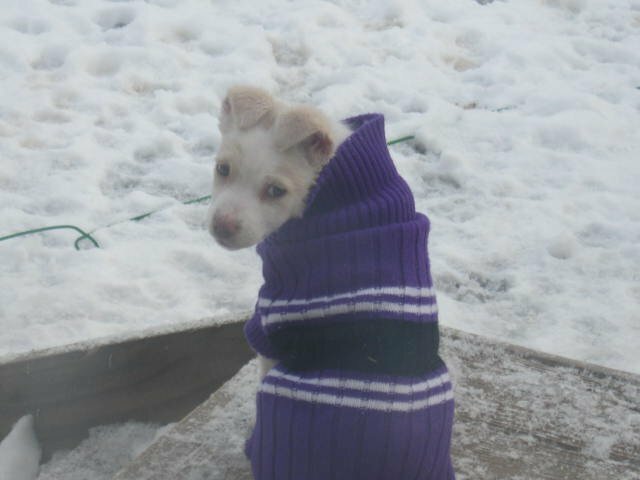 After some great care, Carrot Top is thriving and loves to wear clothes. We named him Carrot Top because his favorite toy is a squeaky fuzzy carrot! Odie was adopted on January 20, 2011. 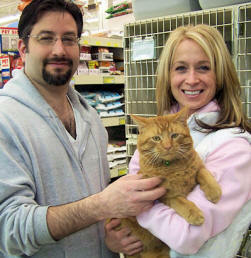 Odie, a big lovable orange male kitty, found his forever home. He is going to be the king of his new castle and will receive lots of attention! His new mom couldn’t wait to get him home to start his new life. 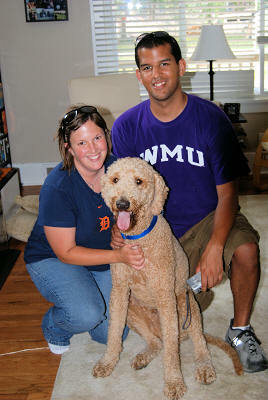 Congratulations to Odie and his new family. Lily was adopted on December 27, 2010. Lily is going to be the only “Queen” kitty, which is the way she likes it. She originally was returned to us because she didn’t get along with the other cats in the household. Lilly will have the whole house to herself and will not have to share her mom with anyone. We wish Lily and her mom a long and peaceful life together. 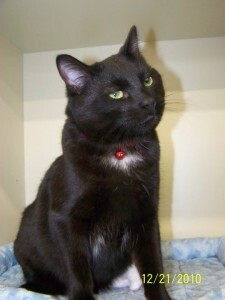 Stuart, a friendly, playful, black cat was adopted today. Stuart was a stray that was brought into a local veterinary hospital. He lived there for a couple of months while waiting for his forever home. 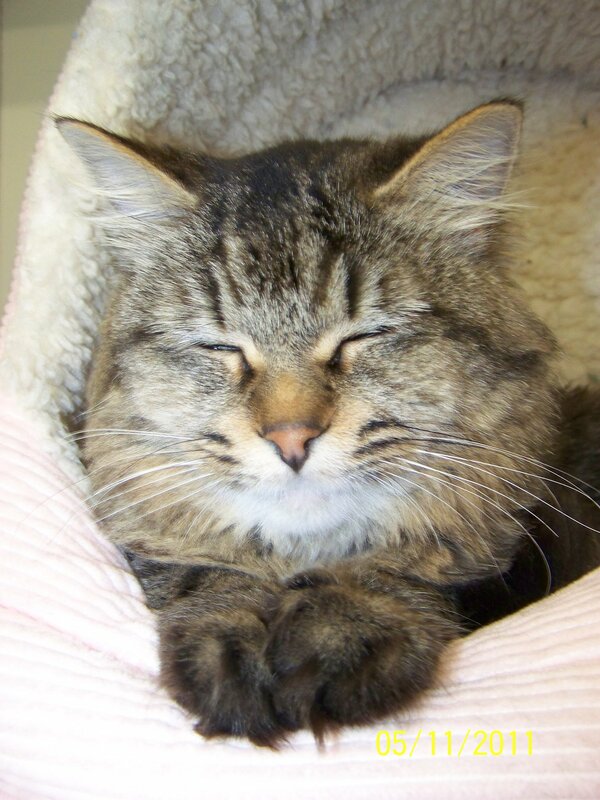 Having no luck there, he was welcomed into our adoption program at the Pet Supplies Plus in Clinton Township. This time luck was on his side, his new mom saw him and fell in love. We wish Stuart and his mom many years of happiness! Benson and Gizmo are brothers that grew up together in the same household. Benson is 9 years old and Gizmo is 6 years old. 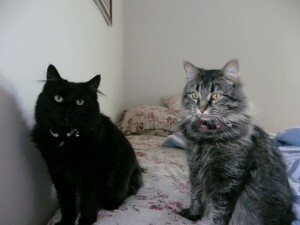 Due to foreclosure, their mom (who loved them dearly) relinquished both of them to the Michigan Animal Adoption Network. Both are friendly and adapted to their temporary home at Pet Supplies Plus in Clinton Township. Yesterday a Christmas miracle happened! 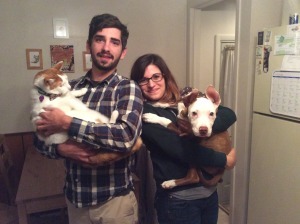 Both Benson and Gizmo were adopted by the same family. Their new mom called this morning to update us on how things were going. After 10 minutes of being in his new household, Benson acted like he had lived there forever. Gizmo is a little more timid but he is adjusting nicely. Happy is ready to start his new life with his new family. Thanks to the generosity of the Novak Family, Happy was able to stay in a warm, safe and friendly environment before finding his new forever home. 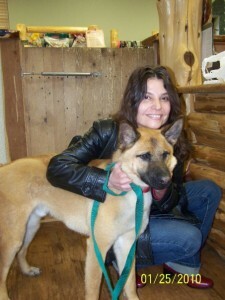 Tiffany, Happy’s new mom, fell in love with him as soon as she saw his picture on Petfinder.com and had to meet him. Once she met him, she knew he was the one! We wish Tiffany, Happy and Napoleon (Happy’s new brother) a Merry Christmas, Happy New Year and a wonderful lifetime of togetherness. Our handsome, playful, and friendly Sparky was officially adopted by his new family on September 8, 2010. He was so overjoyed to see his new mom that it was hard to get him to sit still long enough to get a few pictures. Sparky is going to have a nice backyard to play in, neighbor dogs to play with and a loving home to live in. Congratulations to Sparky and his new family!!!! This beautiful 9 year old cat was adopted August 2010.Mom reports that she has adapted well to her new home and acts like she has lived there for years.We wish Ayla and her new family many years of fun, love and bliss-filled times. Congratulations Ayla! C ongratulations to Opie! He was adopted by his new dad on August 4, 2010. No longer roaming the streets of Detroit, Opie can enjoy the comforts of his very own home. We wish Opie and his dad many, many years of happiness. Gus is one of the dogs we rescued out of Detroit. He was living in an abandoned house with a fenced-in yard for 2 years. 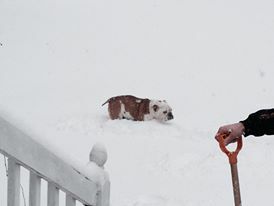 A Good Samaritan neighbor fed both Gus and Buster for as long as she could and when she encountered financial issues, called the Michigan Animal Adoption Network to step in and help. Gus was in our adoption program for a good 6 months. When he came to us, he was a bit timid and very clingy with his friend, Buster. 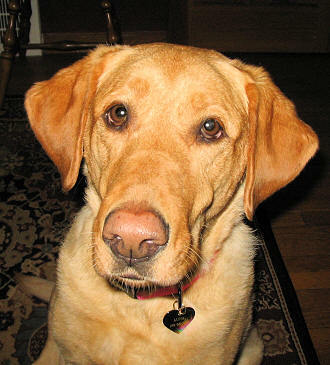 Through the help of Bonny Wainz and her obedience training, Gus’ confidence grew. 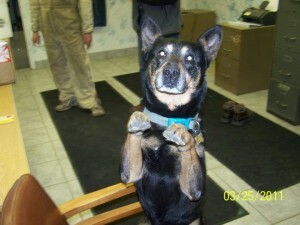 He made many friends at Camp Bow Wow and finally went to his forever home in November 2010. We could not be happier for our dear Gus! We are ecstatic to announce that Sasha has found a forever home. She was rescued from the local pound July, 2010, when her previous family left her there because they didn’t have time for her. 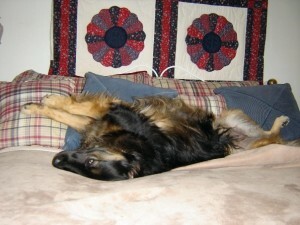 Sasha is doing well in her new home, almost seems like she has lived there her whole life her new mom reports. Congratulations to Sasha and her new mom! Maddie found a new forever home on July 1, 2010. We wish Maddie a long, healthy life with her new family. 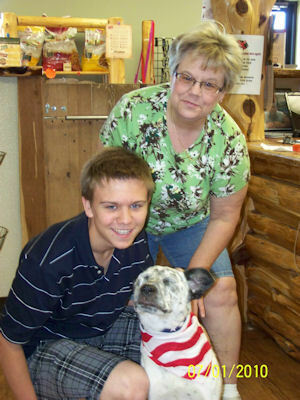 Even though Murphy loved Camp Bow Wow, he needed a new forever home. His new mom saw Murphy in the paper and fell in love with him. After meeting and getting to know him, she knew he was the one. Murphy will have a great life; jogging with his mom, lazy Sundays snuggled up on the couch and a backyard to play in. We are just thrilled for Murphy and his mom! 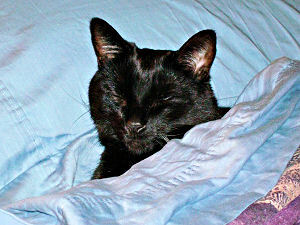 Duncan, a handsome black cat, is enjoying a new chapter in his life. 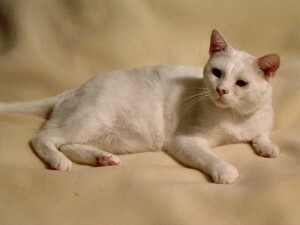 He lives with his loving, forever family; including his “twin” Seamus. Seamus and Duncan have adjusted to each other after a little bit of time. They play, nap and spend quality time together. Life is good for Duncan! These cats got a second chance at life after being adopted by a wonderful family. Finnigan James (black & white) was the first to be adopted over a year ago and Chloe Rose (torti) was adopted in April 2009. Happy stories like this are great to hear. This is why we do what we do – help the animals!!! We have adopted two kitties from you (most recently, Chloe 4/09) and I am sending you a few photos of the two of them soaking up the sun and fresh air at our cottage on the lake . 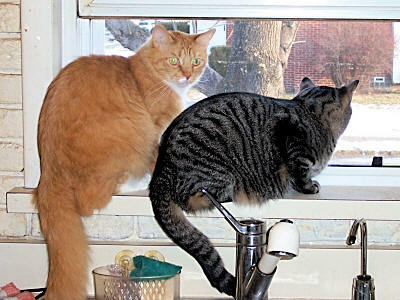 They are awesome travelers and head straight for the window ledges as soon as they are out of their carriers (after a quick stop to the litter box, of course). Food is always third on their minds! I can’t begin to tell you how much love we have for these two new additions to our family. Anna came to us over a year ago. She had a very rough start in life and didn’t trust many people. With lots of love and training, Anna started trusting humans again. Finally, after waiting a very long time, Anna found her perfect home. Anna and her mom are doing great! 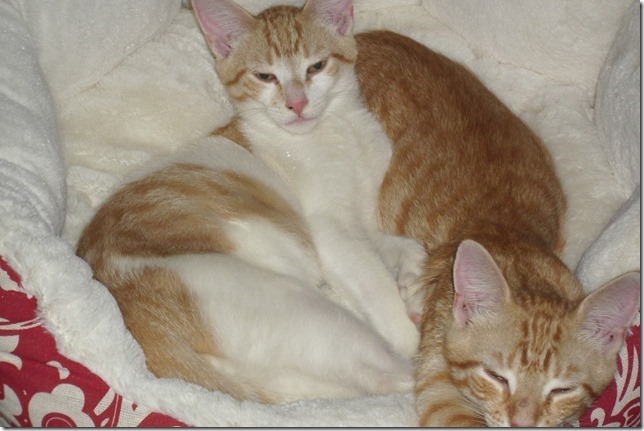 Pooh Bear and Tigger (mother and son) needed our help and a new home because of medical problems with their mom. Even though these two kitties were friendly and sociable, it took a few months to find the perfect home for these cuties. We were able to place them together in a wonderful, forever home. Pooh Bear and Tigger are happy, healthy and well taken care of. 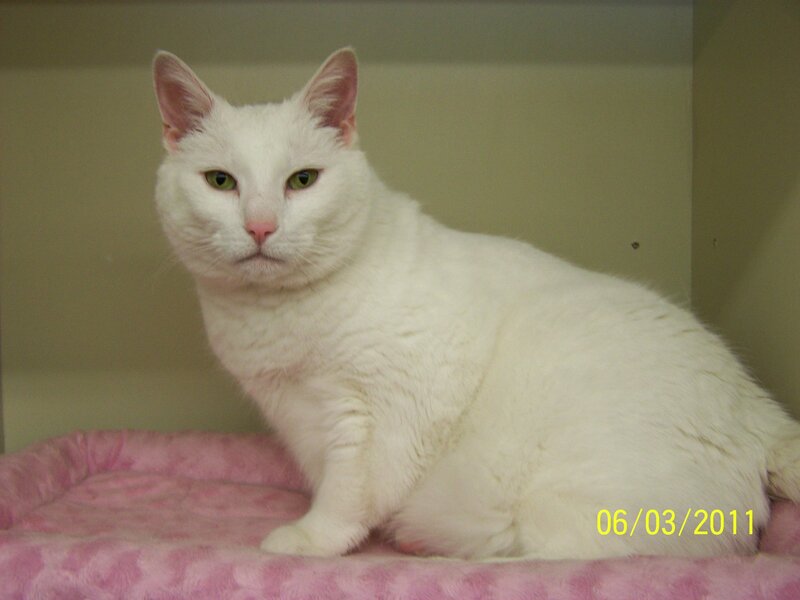 Pearl needed a new home because her original mom had to move into a nursing home. Luckily we were able to find her a new forever home rather quickly. Pearl has adapted well to her new home and plans on living a long, long time with her new family. Ranger was wandering as a stray kitten and found himself in the corner of a truck repair facility in Warren amongst over 100 trucks! A very dangerous place for a kitten! The owner of the company noticed him in the corner and was terrified. Thankfully the owner contacted the Network office and a foster home was found. 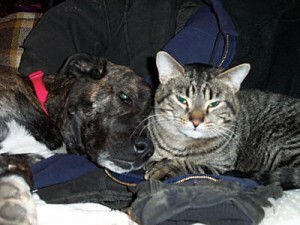 After a veterinary check up and veterinary care, Ranger was placed in his new home with his new friend Toby. 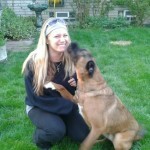 Ranger and Toby will be leaving for their first vacation to Toronto with their new owner Amanda. From a truck garage to Toronto! A very happy ending to a not so great beginning! 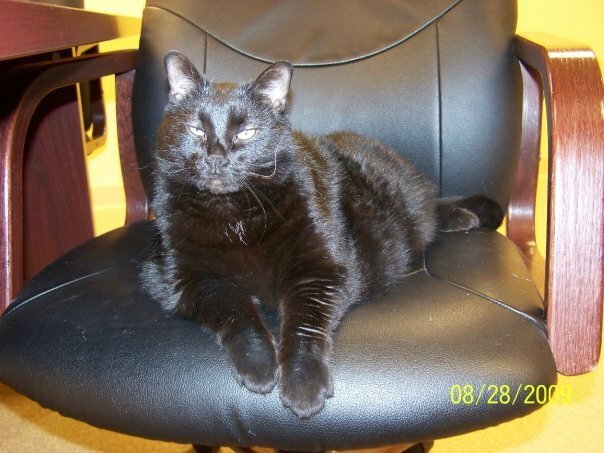 Mia’s old owner had to give her up when she moved into a nursing home. After being with us for about a month, Mia found a new loving, permanent home on May 9, 2008. Here’s a picture of Mia on her new family’s bed. She is loving life!!!!!! 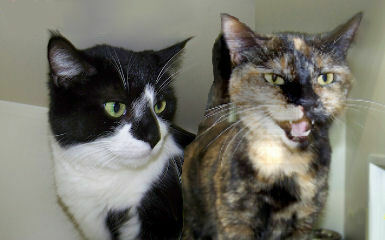 Apple and Pixie were adopted by their new family on April 7, 2008 after being available for adoption for over 1 year. They actually came to VCA Royal Oak Veterinary Hospital as a team and were able to go out as a team. We are overjoyed that they finally found a wonderful family with which to spend the rest of their lives. Mooshie was adopted on March 21, 2008 by a wonderful new family. 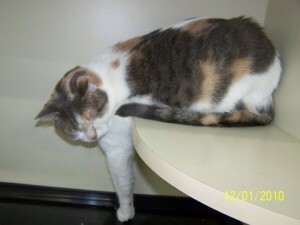 She had been at VCA Royal Oak for over one year after being adopted out of the Oakland County Animal Shelter. Mooshie is a purrfect addition for her new family! 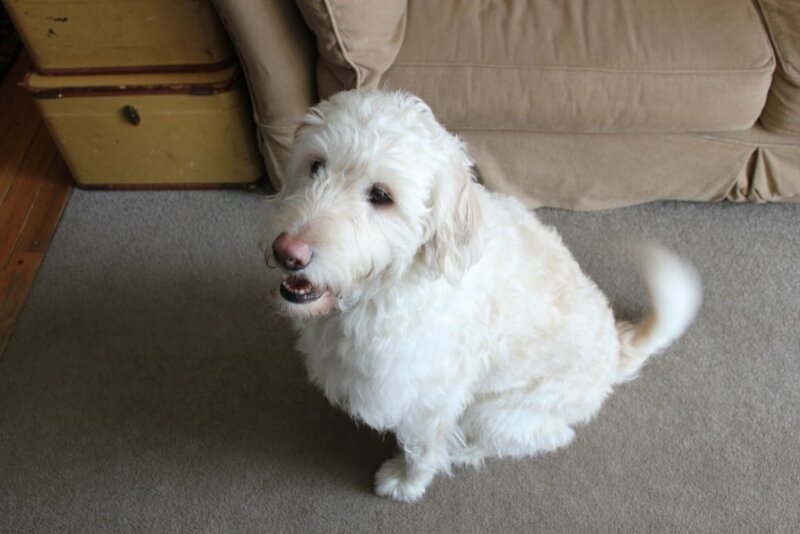 Snoopy, now known as Luna, was adopted by Sue who saw her on our Petfinder page. 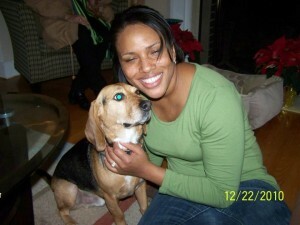 Due to unseen circumstances, Snoopy’s original mom was unable to keep her and contacted us for help. The owners of Pet Ritz Lakeshore Resort in Roseville, MI were kind enough to let her board there until a new home could be found for her. Four weeks later and Snoopy found her new family: mom, Sue; her new dog sibling, Molly; and her new cat siblings, Ruby and Fiona. December 2008: Update on Snoopy, now known as Luna:Luna is happy, healthy and having the time of her life. Thank you to Sue for giving Luna a wonderful home!!!! Cade and Stanley were adopted by Lianna who adopted them after her cat died suddenly last fall. 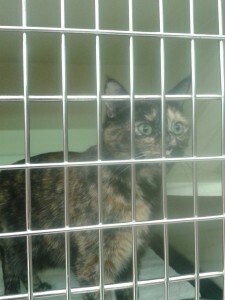 She is actually an employee at VCA Royal Oak, where some of our cats were fostered. 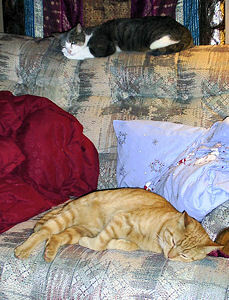 Cade and Stanley originally came from the Oakland County Pound where they were brought in as strays. 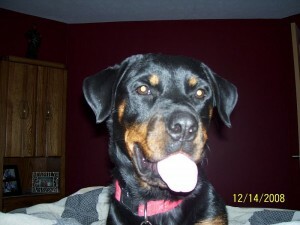 Athena, formerly called Baby Doll, was adopted by Jason who has another dog and who was looking for a Rottweiler. 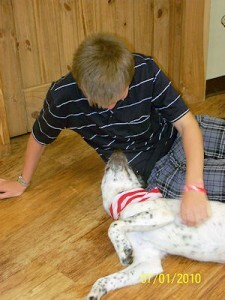 Athena bonded with Jason the moment she saw him, like they were made for each other. She is doing great in her new home and having lots of fun with her new family. 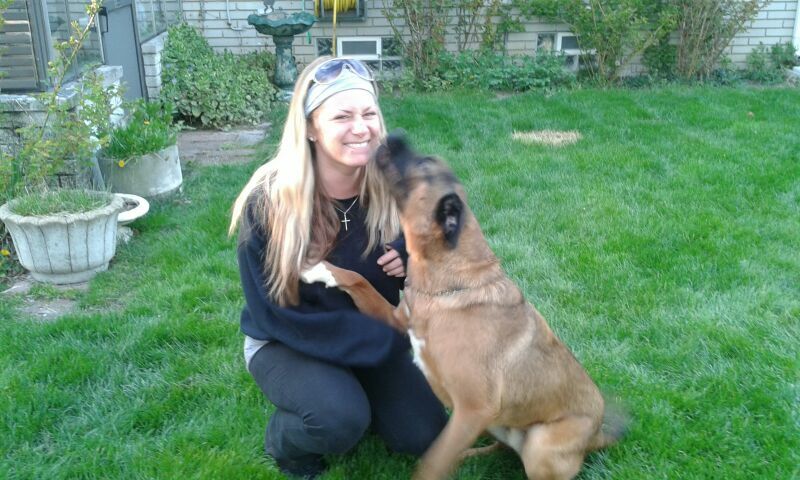 Athena Update: Athena was adopted from us in 2008, as you can see she is having a great life with her owner Jason. This is why we do what we do! Matthew is featured here with his new family, Tiffany and Heather of Ferndale. Thank you to all who contributed to his care and followed his progress. We are absolutely in love, and talk all the time about how we can’t imagine not having him with us. He has been such a blessing, and he’s a perfect fit! He loves his daily walks and loves going for rides with Matt on donut runs on Sunday mornings. He gets along great with my parents dog, Ozzie (a white standard poodle) and he loves going to see “Grandma” in Kalamazoo and getting to play with Oz on the weekends. He has been the best addition to our family that we could ever ask for. I can’t thank you enough for connecting him with us, and giving us a lifelong friend! 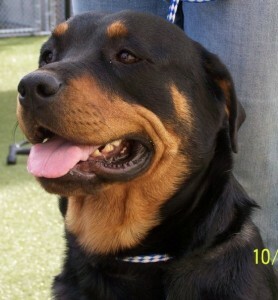 Mojo was rescued from a local shelter because his time was running out. He had ear mites, fleas, ringworm and an eye infection. 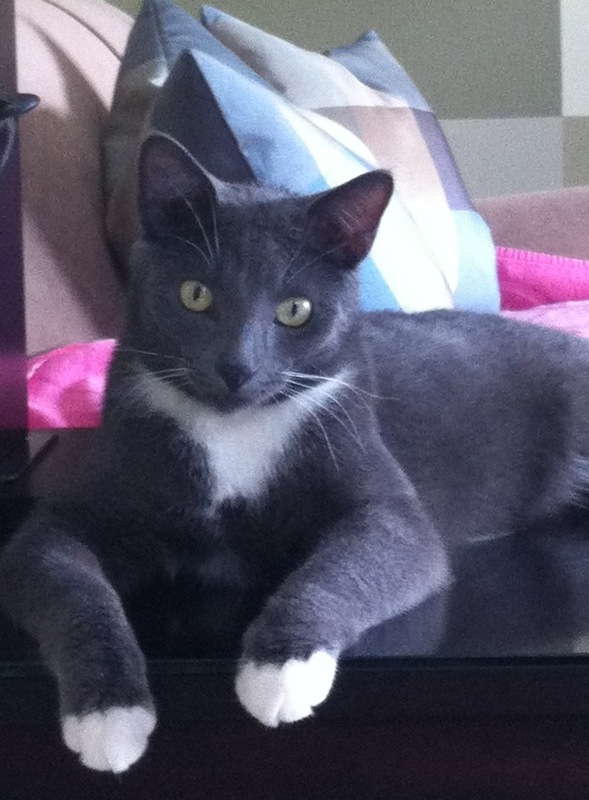 Mojo has since been adopted and is doing great in his new home and is a EXTREMELY happy and healthy cat now!